Mahesh Kaushik best seller book on stock market investing “The winning theory in stock market” is now available worldwide at all leading online and physical stores like Amazon and Createspace stores. 1. TREAT YOUR STOCK MARKET INVESTMENT LIKE A RETAIL BUSINESS. 2. HOW TO MAKE $71803722 BY $100 INITIAL INVESTMENT IN STOCK MARKET. 3. INNOVATION OF BASE PRICE SYSTEM. 4. NET REVENUE PER SHARE CONCEPT FOR FUNDAMENTAL TARGET PRICE OF A SHARE. 5. FUNDAMENTAL CALCULATION FOR PREDICTING TARGET PRICE OF STOCKS. 6. HOW TO IDENTIFY SPECULATIONS IN A STOCK. 7. IS IT GOOD TO BUY A STOCK BELOW FACE VALUE? 8. HOW TO CHOOSE A STOCK FOR INVESTMENT. 9. BONUS AND STOCK SPLIT GIVE ONLY PSYCHOLOGICAL EFFECT ON INVESTORS. 11. GOLDEN RULES FOR WINING IN STOCK MARKET. 12. WHAT ARE THE BASIC REASON OF CHANGING PRICES OF STOCKS? 13. BIGGEST LIE OF SHARE MARKET. 14. WHAT IS OPTION TRADING. 15. HOW ANALYSTS ON TV CONFUSE US. 16. SPIRITUAL TIP FOR TRADERS. 18. MY BASIC CONCEPTS FOR INVESTING IN PENNY STOCKS. 19. FORMULA FOR SHORT TERM TRADING. 21. CHOSE DIVIDEND OPTION IN ELSS. 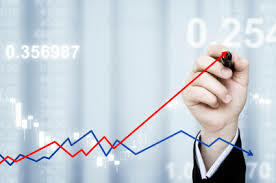 MAHESH KAUSHIK BLOG: - Mahesh Kaushik blog about stock market name www.maheshkaushik.com is providing you free stock advice since last 5 years. "This book will be able to change your vision about the market and I have no doubt that if any one follow Mahesh Kaushik theory strictly with discipline than his initial investment of $100 is growing $ 7,18,03,722 after 20 years as author of this book claim in chapter 2 of this book. So I am clearly recommending that “ The winning theory in stock market” book is an essential need of every investor. M.sc , M.A. (Economics), Ph.D.